Cabrito/ Centinela Cocktail Competition 2013: The Heats are really getting Fiery! We are well into our exciting Centinela Cocktail competition, with the London final taking place at the end of July, and the competition is heating up! We have 3 regional finals in total and the winners from each final will then get to go to Arrandas in Mexico, the home of Casa Centinela & Cabrito, and battle it out to be the ultimate winner for 2013! Congratulations to all the finalists so far! And to add to this list of amazing talent we have last night’s winner from Made in Camden… And what a fight it was! As my first time up judging a heat for this competition, I got a real insight into the level of thought and creativity that all the bartenders are putting into their creations. With real attention to the taste profile and history of Cabrito (the range used in this heat), the results were delicious and taste-bud-tingling treats for all us judges. First up was Louis with a real concentration on the nutty notes of Cabrito blanco – using a dry amontillado sherry in the cocktail to really draw out these flavours. Along with this he introduced a little French character (from his home country) into the cocktail, using yellow Chartreuse. Adding his own honey recipe for sweetness and a dash of bitters, he stirred to temper the drink and poured into a Sherry glass. Next was Teresa, who added a real kick to the competition and introduced flavours from the home of tequila itself by adding chillies to the cocktail! 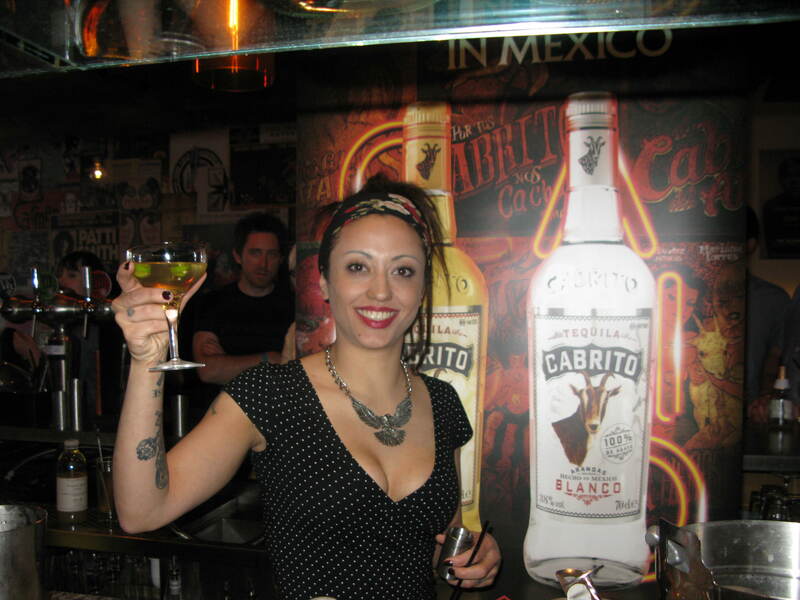 Based on Cabrito blanco – in order to get a pure agave flavour without oak – she added the chillies, simple syrup, Lillet and a splash of fiery bitters. She gave it a quick shake (but not too much!) to get the chilli flavours out and poured into a Coupe glass. Mexican contender Freddy came next, adding some real fruit to the mix; a watermelon cocktail using fresh watermelon. 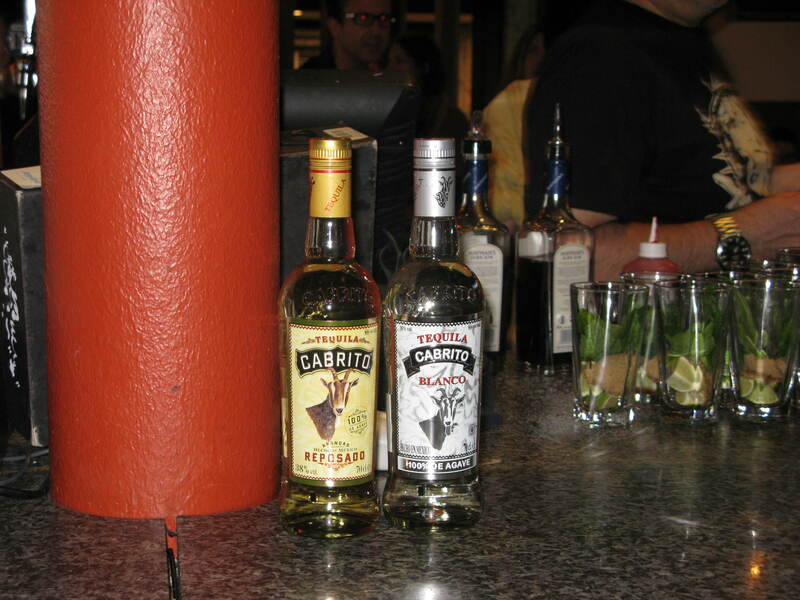 Freddy wowed us with his history knowledge of Cabrito (the number one tequila in Mexico and one he was very familiar with). Using the blanco, he mashed up the tequila with the watermelon then added Sotol from Mexico (a mezcal-like drink), some orange bitters and fresh lime juice. He gave it a slightly longer shake and poured into a Coupe for a deliciously pink finish. Last, but of course not least, was Rebecca who brought along her homemade roasted lime, onion and cayenne pepper puree to create a twist on a Bloody Mary. Seasoned with lots of herbs and spices; she was used the reposado and mixed in green tomato juice and some extra chilli sauce. It was served with a shot of spicy tomato juice and was certainly one to blow any cobwebs away! Cabrito, and tasted great… but after much deliberation we had to make a decision. The winner was the one we thought was a drink that really celebrated Cabrito taste at the heart of the cocktail; showed a consideration to the homeland of Mexico; and was balanced, well thought out and left us wanting several more of the same…. Teresa, with her cocktail “Hellquila”. Congratulations on being the next finalist in our Centinela Cocktail Cup! The next heat is at Thursday 4th July at the Four Seasons in Canary Wharf! It will be at 2.30pm for anyone in the area that wants to pop in and give them a cheer! Well done to our winners so far and good luck to all upcoming contenders!